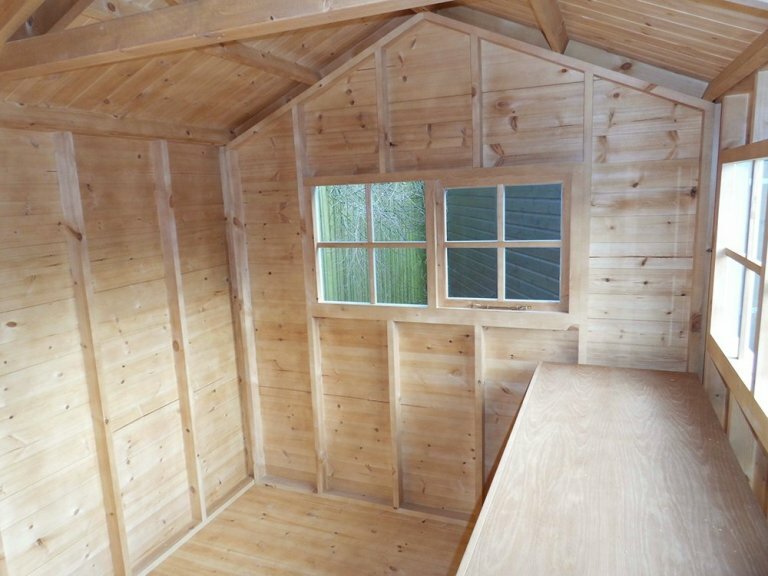 This charming and handsome garden shed was recently designed and hand-built at our Norfolk factory and is now on display at our Burford show site in Oxfordshire. 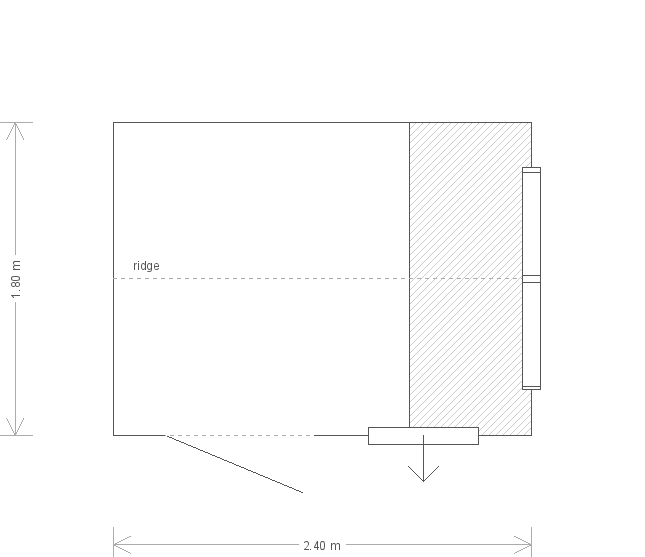 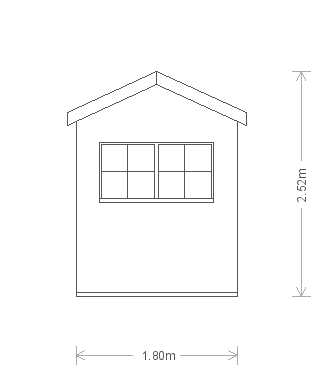 The building measures 2.4 x 3.0m and has an apex roof covered in cedar shingles. 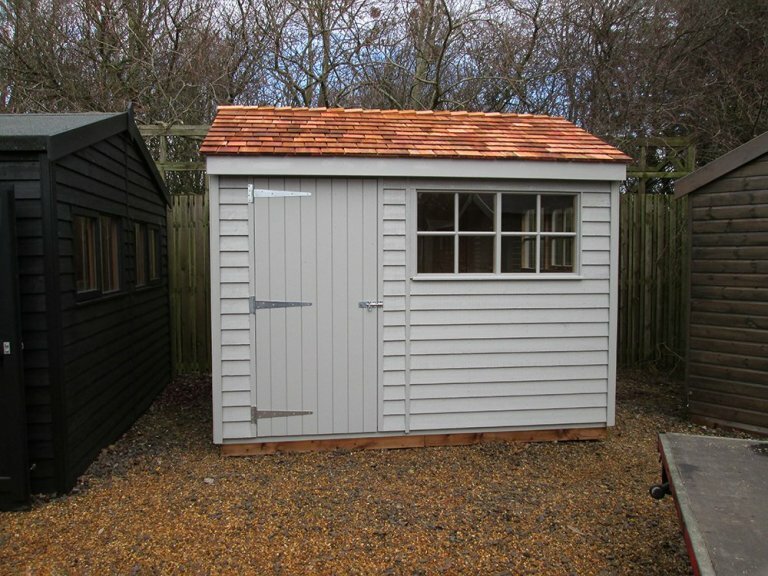 It also boasts attractive georgian windows and rustic weatherboard cladding coated in the exterior shade of Pebble. 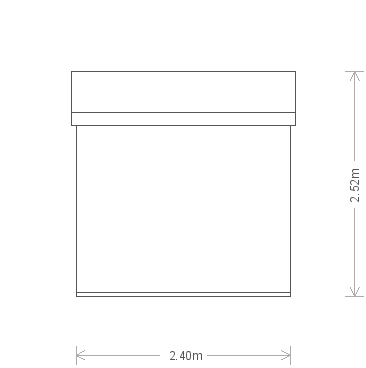 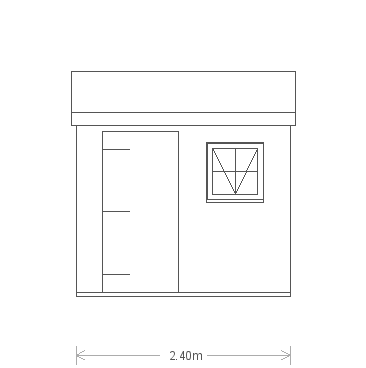 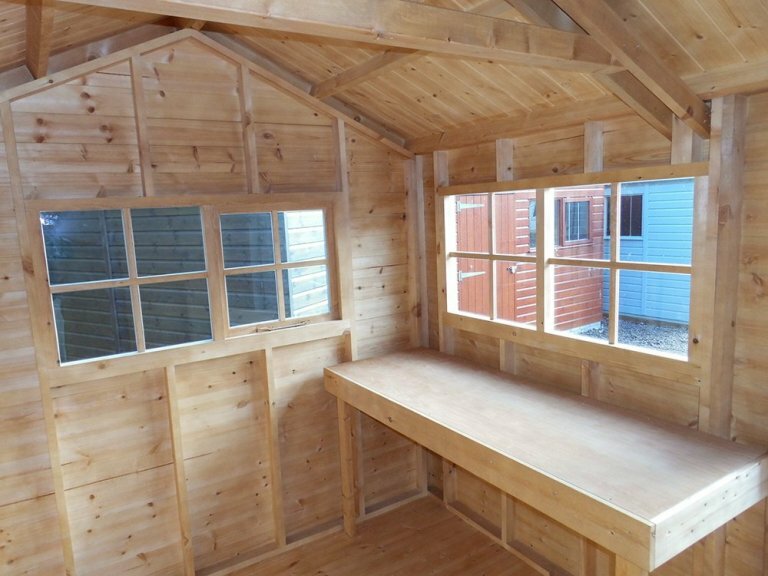 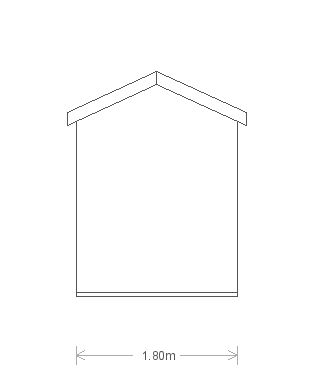 Internally, the shed has a sturdy workbench so that projects can be pursued inside the building.